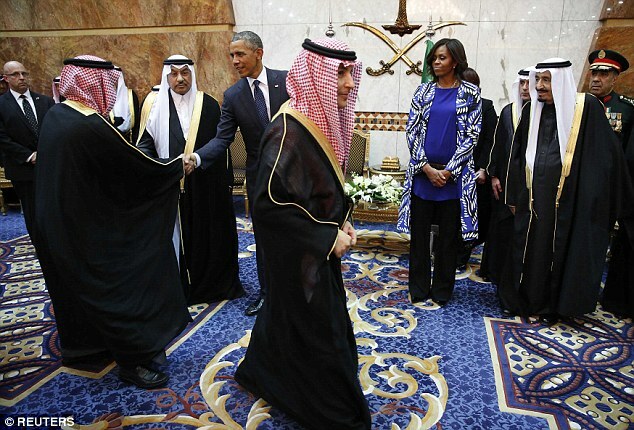 Saudi Arabian Princes Did Not Even Look at Michelle Obama’s Eyes, Complete Contempt & Disrespect. 99 Percent of the Saudi Arabian princes refused to shake Michelle Obama’s hand, in addition they refused to look into her eyes, that is full disrespect for America’s First Lady, is this not the perfect encapsulation of the anti women ethos in that region? However MikeFrancesa.com believes Michelle Obama is smart, she went to the King’s funeral knowing she would receive this reception and it would shine a light on the low status women have in the Middle East.